Visualisations to encourage your natural healing process. Affirmations to guide, transform and inspire. Ways to develop the latent power of your mind. Techniques for gaining a deeper understanding of yourself and others. David Lawson is a leading international expert in self-help and self-healing. As a healer and teacher he runs workshops throughout the world, including many approved by Louise L. Hay, author of 'You Can Heal Your Life'. 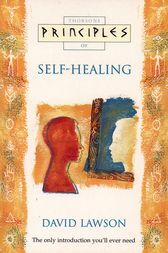 David has written several acclaimed books on the subject, including 'I See Myself in Perfect Health', also published by Thorsons. He is the author of several books, including Principles of Your Psychic Potential.